When Is It Important to Seek Help for OCD? Sadly, Obsessive Compulsive Disorder is often minimized in our culture. While OCD is a potentially debilitating condition, people call themselves “OCD” flippantly and casually when they’re being particular or fussy about something like cleanliness. For someone who suffers from OCD, that dedication to cleanliness can prevent them from leaving home for days or weeks. This cultural dismissal of Obsessive Compulsive Disorder needs to end so that those who truly suffer from this mental health condition will feel comfortable seeking the treatment they need. While OCD was once thought of as a rare condition, research shows that OCD affects up to 2.5% of Americans. In this blog, we will outline the characteristics of OCD in hope to shed some light on the importance of seeking help to manage this frustrating disease. With the right treatment, people with OCD can experience relief and wonder why they didn’t seek help sooner. The Diagnostic and Statistical Manual of Psychiatric Disorders, or the DSM-V was updated in 2013 to create a separate category for OCD; previously, OCD was grouped with Anxiety Disorders. Obsessive Compulsive Disorder is a mental health condition characterized by upsetting behaviors that can be categorized as obsessions and compulsions. Obsessions are distressing and intrusive thoughts that do not reflect someone’s reality, such as constantly feeling unsafe, or unclean, not trusting one’s own memories, or an urgent need for order or symmetry. Compulsions are repetitive, urgent behaviours that can threaten an individual’s well-being, such as constant checking of locks, appliances, hoarding, arranging, counting, or cleaning. In the case of both obsessions or compulsions, the person attempts to reduce or suppress these intrusions through actions that are ineffective and unrealistic. It is important to know that these thoughts and behaviors need to be severe enough to affect a person’s daily living and cause significant distress to be classified as Obsessive Compulsive Disorder. Someone who feels unsafe in a threatening or dangerous situation does not qualify as having OCD as their thoughts are supported by their environment. Someone who cleans fastidiously 1-2 times weekly may not have OCD, while someone who washes their hands to the point of developing painful eczema may be suffering. Doctors and researchers have developed rating scales to use with patients in order to help determine whether their thoughts and behaviours constitute OCD. One of the frustrating and sad consequences of OCD is the presence of other mental health conditions which may increase suffering and make treatment more complicated. Other conditions that can arise with OCD include depression, anxiety, eating disorders, skin or hair picking, suicidal thoughts, tics, and more. Consideration must be made for these conditions in combination with the obsessions and compulsions in order for people to get the right treatment. For doctors, OCD can be a difficult condition to treat. Some people require little more than behavioural therapy with a qualified doctor or therapist, while others may need brain surgery to feel better, and there are many different combinations of treatments in between. 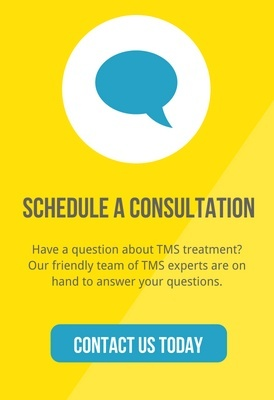 In 2018, deep TMS treatment was approved by the FDA as a viable treatment option for this condition. Certain medications are also approved for OCD treatment.It is rare to see complete resolution of symptoms with just one type of treatment. An effective approach for OCD may include multiple therapies when one type of therapy has failed. These reasons also support early treatment for OCD, as it can be difficult to find the right regimen for each person and patients deserve to start feeling better as soon as possible. If someone’s OCD symptoms put them at risk for self harm or prevent them from caring for themselves, they may need to be hospitalized. Hopefully, with some education, those with greatest risk can find help before this disease progresses, to prevent hospitalization and to enable them to live an independent life. With OCD, some may dismiss a person’s symptoms or take them lightly, which is not a reason to delay treatment. If OCD symptoms are interfering with someone’s daily life, that person should seek help feeling confident that it is a wise choice. Karno M, Golding JM, Sorenson SB, Burnam MA. The epidemiology of obsessive-compulsive disorder in five US communities. Arch Gen Psychiatry. 1988 Dec;45(12):1094-9. PubMed PMID: 3264144. American Psychiatric Association: Diagnostic and Statistical Manual of Mental Disorders, Fifth Edition. Arlington, VA: American Psychiatric Association; 2013. Fenske JN, Petersen K. Obsessive-Compulsive Disorder: Diagnosis and Management. Am Fam Physician. 2015 Nov 15;92(10):896-903. PubMed PMID: 26554283. Tolin DF, Abramowitz JS, Przeworski A, Foa EB. Thought suppression in obsessive-compulsive disorder. Behav Res Ther. 2002 Nov;40(11):1255-74. PubMed PMID: 12384322. Goodman WK, Price LH, Rasmussen SA, Mazure C, Fleischmann RL, Hill CL, et al. The Yale-Brown Obsessive Compulsive Scale. I. Development, use, and reliability. Arch Gen Psychiatry. 1989 Nov. 46(11):1006-11. Brady CF. Obsessive-compulsive disorder and common comorbidities. J Clin Psychiatry. 2014 Jan;75(1):e02. doi: 10.4088/JCP.13023tx1c. PubMed PMID: 24502865. Doshi PK. Surgical treatment of obsessive compulsive disorders: Current status. Indian J Psychiatry. 2009;51(3):216-21. Subramaniam M, Soh P, Vaingankar JA, Picco L, Chong SA. Quality of life in obsessive-compulsive disorder: impact of the disorder and of treatment. CNS Drugs. 2013 May;27(5):367-83. doi: 10.1007/s40263-013-0056-z. Review. PubMed PMID: 23580175.